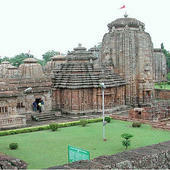 Orissa is located in the east of India. The capital of the state i.eBhubaneswar, is emerging as a knowledge hub in the country with various new public and private universities, including the establishment of an Indian Institute of Technology. The state is also houses premier medical college - AIIMS Bhubaneswar. National Institute of Fashion Technology, located in Bhubaneswar offers specialization in Textile Design and Fashion Management. There are several prominent private universities, such as XIMB (Xavier Institute of Management, Bhubaneswar) and ICFAI University. XIMB is a premier institute for doing MBA in Bhubaneswar. This page was last modified on 19 April 2019 at 16:04.